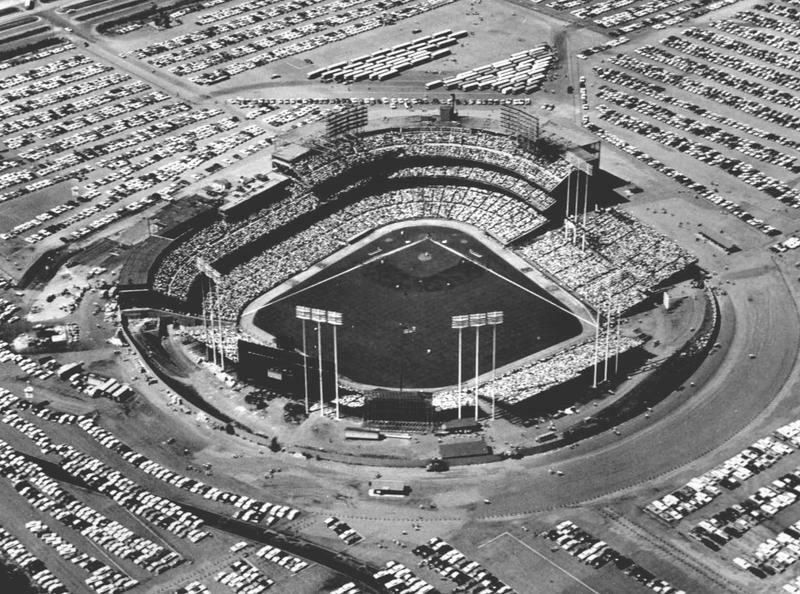 Steve Rushin grew up almost in the shadow of Metropolitan Stadium, in Bloomington, Minnesota. Steve Rushin talks with Mitch Teich about the intersection of baseball and word play, youth sports fans, and Rushin's podcast with wife Rebecca Lobo. Steve Rushin has covered thousands of professional and college athletes in his decades as a sportswriter and columnist. But these days, he's spending a lot of time watching amateur athletes at work - his kids, as they play youth and high school basketball. And Rushin has taken particular note of the fans around him. "If I could carry one big bed sheet spray-painted banner at these games," he says, "it would be 'WHO CARES?' This is something for [the kids] to do, get exercise, get out of the house, get 'em off whatever they were binge-watching. This is not a means to a college scholarship or a professional career, this is something to do on Saturday afternoon." 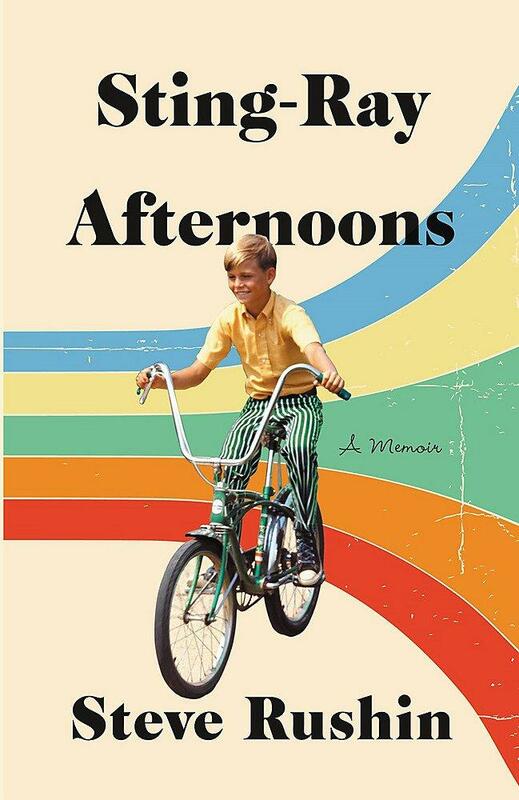 Steve Rushin's latest book is a memoir called "Sting-Ray Afternoons." Rushin, who graduated from Marquette University, has spent much of his career writing for Sports Illustrated. Since the magazine scaled back publication to biweekly, Rushin's words are seen most frequently on his active Twitter feed - and in his latest book, a memoir of his Minnesota childhood called Sting-Ray Afternoons. In the book, Rushin examines his earliest days as a sports fan, attending - and later working at - Minnesota Twins games at nearby Metropolitan Stadium. It's a filter through which he is, today, able to watch his kids' much different development as sports fans. 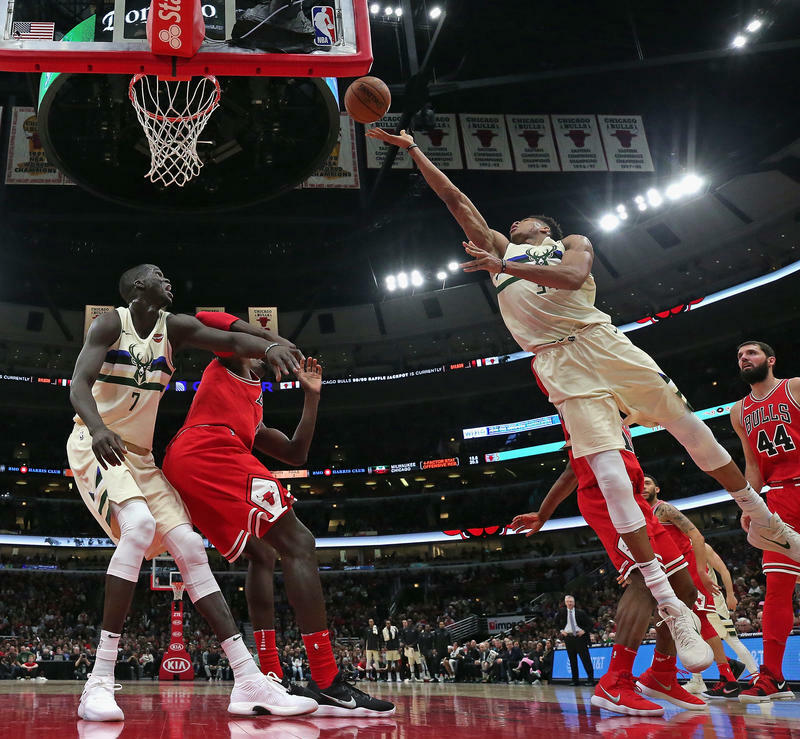 "My son loves the NBA and he loves Major League Baseball," Rushin says, "but he experiences those much more through the Xbox or baseball cards - not through sitting through a nine-inning Major League game." Still, he says there are things that haven't changed from generation to generation. "They love to turn anything into a competition - who gets into the car first, who gets the last roll on the dinner table." 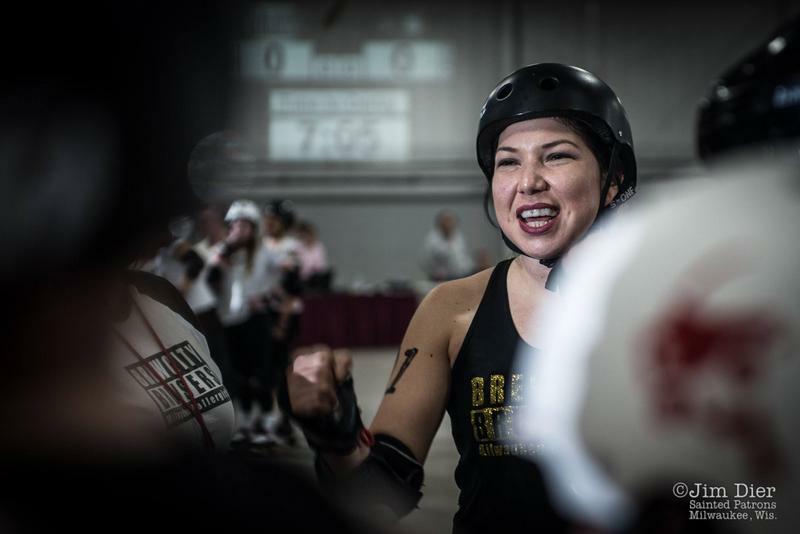 Rushin's family life is also a frequent topic of discussion on "Ball and Chain," the podcast he co-hosts with his wife, ESPN analyst and former basketball player Rebecca Lobo. In fact, Rushin says the podcast recordings themselves represent vital family time. 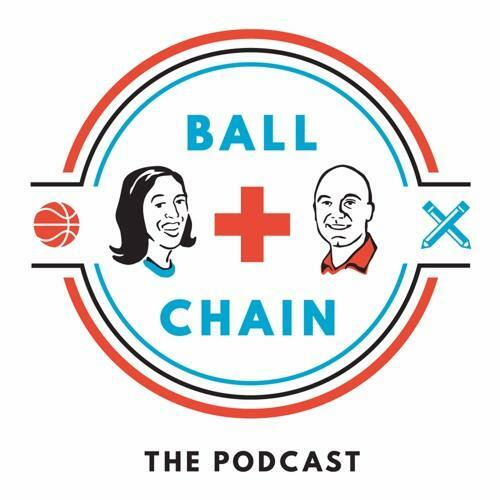 Steve Rushin co-hosts "Ball and Chain" with his wife, Rebecca Lobo. "The main thing I get out of it is 45 minutes of conversation with my wife," he explains. Rushin's recent trip to Milwaukee began just as Lobo was getting home from a basketball broadcast in Oregon. "It sounds like a joke - but honestly, we wouldn't be sitting down for those 45 minutes otherwise. And most of what we talk about is stuff we haven't previously talked about." So, should marriage counselors around the country recommend couples record podcasts together as therapy? "Actually, one of our neighbors listened," Rushin recalls, "and asked me, 'Was that podcast court-ordered?' It wasn't, but The Court-Ordered Podcast would have been a good alternative name for it." Anyone who watches sports - either in person or on TV - has seen them. 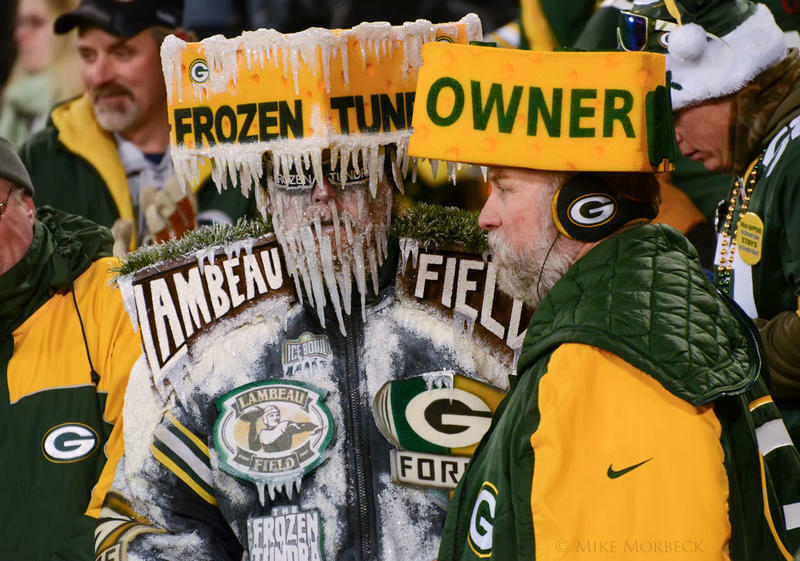 The fans sitting in Lambeau Field on a 15 degree December day, with their shirts off, bodies covered in green and gold paint. Or the the guy driving down the street in a car painted in the Brewers’ color scheme.